If you’re going to put your words on public display, it’s your job to make that content compelling, intriguing, entertaining or informative. If it’s boring… well. Suffice it to say that very few readers are going to be interested. That’s why your About page has to be just as good as every other piece of content on your site. A well written About page is an extra more tool in your arsenal. It can help you engage readers, encourage sales, enhance trust and increase respect. Your About page needs to help you accomplish a goal. It’s not there to look pretty; it’s there to work for you. What you need your About page to do depends entirely on what you want to achieve with your site. Do you want more sales? More readers? More clients? Gear your content towards your goal and make your About page work hard for you. For example, if you want more readers, then write in a way that engages people and develops a bond. Get personal. Tell a story. If you want more sales, then your About page becomes an extra place to pitch the benefits of buying or how your product helps customers get what they want. If you want more clients, then use your About page to convey what you’re like to work with and why you’re different from the competition. There are some rocking blogs out there, and there are great sites full of entertaining info. But sometimes, you click the About page of one of these sites, and you’re jarred from that greatness thanks to content as dry as breadcrumbs. Be consistent with the voice and style you use throughout your site, and reflect the same personality on your About page. Don’t switch from sassy blog posts to overly stiff professional credentials. Don’t go from casual class to raving wild child. Don’t switch from swearing like a sailor to top manners and queenly etiquette. And if your crumbly-dry About page is consistent with the rest of your site’s style? Then you need a major content style overhaul, my friend. Welcome to Generation X and Y, where millions of people crave personality, transparency and honesty. Gone are the days of About pages listing the year of company founding and boring credentials. Now people want to see who you are, how you came to be here and what your favorite color might be. That doesn’t mean you should use your About page to tell your life story, reveal your deepest, darkest secrets or go on about unrelated traumatic events. Keep the content relevant and concise. Just add a personal touch and give people a taste of who you are. List a bit of ‘you’ trivia. Talk about how you got started. Show a little of the face behind the online mask. While About pages should tell an honest, interesting story, they should also still have those credentials in there. Mention your experience, your education or your skills – just do it with style. Note how long you’ve been in business (if it’s been a while), and indicate any accomplishments that make you stand out. You can also list associations you’re involved in, distinguishing factors, or organizations you support. Do you do volunteer work or donate funds? List that too, because it helps show people what you stand for. Don’t have any credentials? Just getting started? That’s okay; we all start somewhere. In this case, mention how you learned your craft and why you became involved in this line of work. You don’t have to say when that was, but you do have some backup that makes you a credible provider, authority or business. Everyone likes to hear a story, and every single person in this world has a story to tell. A bland description isn’t going to interest people, but a story hooks them in every single time. That doesn’t mean listing your bio from birth to now. A long About page that isn’t relevant or that gives too much information isn’t a good read. Stay sharp and concise, with a hook intro, a nice build up, a climax and a wrap. People like to know the story of what brought you here and how you became interested in what you do. One of the most frequently asked questions I hear is, “How’d you get started in writing?” You could start with something like, “Looking up at the sun one day, it struck me that there was something better than the damp dirt of the cow field I sat in.” That’s a story right there, and it gets people interested in knowing more. 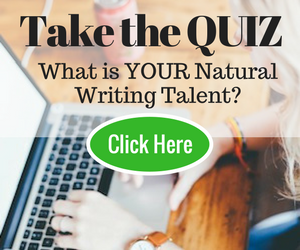 By now, you’re thinking, “Well, then, what do I write? I don’t have a great story and I can’t write my full history… what’s left?” You. That’s what’s left. What kind of person are you? What makes you the star you are? Why do you do what you do? What makes you special? What makes you interesting? What makes you a good person to work with, or to buy from, or to listen to? Your turn: What do you like to see on an About page? More importantly, what’s on yours? Extremely helpfull post. Struggled to write an about me page for some time. Didn’t really know what to put there. Thank you! It is great to read from you today. You are right, an about page is a useful tool. I do conduct seminars here in the Philippines. I do not go directly to topics. I start by building rapport with the audience and introducing myself to them. I think that’s the about page takes care of that too. Great tips here. Many people neglect their About page. Others tend to go over the top on their About page – listing all their credentials, skills, experience etc. The key thing to remember is that what a customer cares about is the BENEFITS you can bring to them if they hire you. So, it is very important, on your About page, to weave in how your skills and experience will actually help the customer with what they need. The more interesting and compelling your About page is, the more likely there are to be people who will want to directly (as opposed to simply commenting on a specific post) interact with you. So while there’s certainly merit in having a more comprehensive Contact page, I firmly believe that your About page should offer your visitors the opportunity to contact you – even if that’s only in the form of a glaringly-obvious link over to your Contacts page. All too often, I wander across blogs and am inspired to write the author(s) yet cannot find any means to do so. That frustration can quickly become motivation for me to not return to that blog again. Thank you for giving this great advice! About page is one of the important page in our blog. Thank you for giving me a clear idea to make my About page more attractive. I couldn’t agree more. Without a human story to relate to, it’s hard to connect on a deeper level with someone based on their About page. About Pages can be deadly boring, but I guess if your customers are going to be buying from you they want to know that there is a person behind the shiny website. I agree is is important to add a bit of personality if it grabs the trust of the user, it can be a great tool for engaging potential customers and possibly boosting sales. Great article, exteemfly useful. I’ve been putting off re-writing my about page for a week or so now, but this has given me the wee push I need to get it done. I like this post, James! In the last year I must have rewritten my About page at Goodlife ZEN about 10 times. Impersonal, then personal, then 3. person again, then personal confession…and on and on. Loved this post…somehow got here off of Time’s Top 25 blogs of ’09 and this one should for sure be there. I’ve just been puzzling over this – the “about” pages. On my blog, under WordPress, I’ve got a brief entry- maybe good enough (though it can stand improving). On the mother page, http:www.byknight.com , that I’m blundering through setting up in Dreamweaver – there, I should have something better, methinks. Thanks, James. A powerful post – although you scare me! Great SEO friendly title too – more good learning. I have a Welcome page, which works like a combination of a traditional About page with a New here? Try this… page. It’s usually only first time visitors who check out an About page anyway, so why not welcome and thank them at the same time. Visitors learn about me and what the blog’s about; they also have the option of links to various posts in the blog. My stats show they then explore to find what they want or need. I often think it might be better for us all to rename them About YOU pages as people are usually checking you out to see if you fit their needs. I totally agree that if they hate your About page, they won’t explore the rest of the site. (I’m sure you’d hate mine!) So why not save them time and disappointment and simply be yourself on the first page they visit. Fantastic post and great read – very helpful. I will have a new about page when my blog relaunches with a youtube video thrown in for good measure. My goal will be to convey that what we offer is fun, unique and well worth the time of all prospective readers. The aim is to write it in a compelling and entertaining way. It is a good point… An about page that is boring is inexcusable. I loved your post and for bringing attention to the importance of an about page. I think so many people overlook it because they think it holds no value. I also think it is important to have a picture of yourself on the about page because it helps readers connect with the author. James great post! I think my about page hits all the high points you stated. It is nice to have affirmation that I was headed in the right direction. And yes put your volunteer work on there! It is an important part of who you are! @ Ros – There’s a lot of generational influence in the aspect of letting personality shine. Whereas older generations tended to have heightened respect for authority and that business-like image, younger generations place more value on other elements that shine through, such as personality. @ Megan – Everyone likes a good story. The more we can relate to it and see the imagery, the better. You’ll rarely remember a description of an event that sticks to facts, but you’ll always remember more of a story that held emotion and character. Human nature! @ Positively/Writer Dad – You’re welcome! Wield your pens with confidence and write forth! @ Frances – It’s often hard to know what to do with an About page, as we all seem to be hovering between that gap of business and person. I tend to like the random trivia approach myself – it gives a glimpse without revealing it all. Great post – it’s so true. People are interested in seeing the human being, not just facts. You need to write in your own style and let your character show through your writing. A link on twitter brought me here and it is exactly what I need today. “Work on About page” has been on my to-do list for weeks, needing new speaking engagements added and advertising information removed. Boring, tedious, and easy to bump down the list. One of things I had considered changing was how much “story telling” was included. After reading this post, I think the stories might very well be what works best for me, as I’m an essay blogger more than anything else. It’s seems like my About page is always “one step forward, two steps back,” but these tips give me one significant step forward in the right direction. Thank you! AMAZING! I was JUST about to revise my About Page and then I came across this post. Perfect for me today! Thank you! Hi James! Great to see you here. I loved this About Page advice. I have a particular About Page I’ve been putting off for a while. Looks like it’s time to get started. This is a very helpful post for new bloggers. When I first started my blog I didn’t know what to write on my about page because I hadn’t actually accomplished anything that I thought deserved blog space. Instead, I chose to write about 20 – 25 random facts about myself that told who I was and where I was coming from without launching into a long and detailed story about myself.